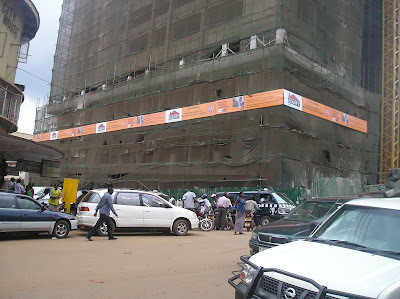 Following an inquiry to the Retiring Archbishop of the Church of Uganda regarding the funding of the Church House, it is now advertised on the House under construction that it is Equity Bank and Church of Uganda funding the Construction. 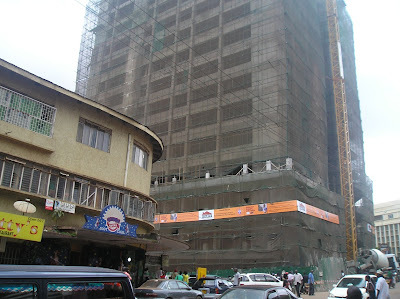 There is some Internet Information as follows: Source: http://ugandaradionetwork.com/a/story.php?s=9937 American Investor joins Church House Project The Church of Uganda has found an American investor willing to partner in the long-delayed Church House project. The Church of Uganda Provincial Secretary, Reverend Aaron Mwesigye, declines to name the American investor, but says that with his support, the construction of the 10-storey Church House will begin in July this year. He says work on the building, which was commissioned in February 2003, was delayed because the Province had only raised 720 million shillings, which was insufficient for substantial construction work. The estimated total cost of the Church House Project is 25 billion shillings. //Cue in: iThis project requires #i Cue out: i# Church House will begin.i// The American investor arrives in Uganda next week to discuss the terms of reference regarding his partnership. Late Archbishop of Uganda, Janani Luwum, initiated the Church House project to serve as an income generating venture and a means to guarantee the welfare of clergy and lay workers in the Anglican Church. Church of Uganda clergy and staff are poorly paid and retire without any pensions or benefits. Archbishop Luwum laid the foundation stone of the Church House in 1977 during celebrations to mark 100 years of Christianity in Uganda. The project has been fraught with accusations of mismanagement and misappropriation of funds. For the past 30 years the Church of Uganda has been fundraising for the Church House, but with little to show for it. Reverend Mwesigye, who also serves as the Chief Accounting Officer of the Province of the Church of Uganda, admits that financial impropriety may have led to the delays. He is however optimistic that the problem has been overcome by the current church administration and expects the project to be complete within one year. //Cue in: iWhat we've been lacking #i Cue out: i# in the Church House.i// Roko Construction Company won the tender to build the Church House.